Japanese developers often like to make games that satirise certain aspects of the world or particular cultures (the Hyperdimension Neptunia series is a good example). Penny-Punching Princess is the latest game of this kind to release in the West. Originally released exclusively on PS Vita in 2016 in Japan, the title comes to the West on PS Vita and Nintendo Switch to capitalise (sorry) on the Western market. Due to various reasons I was unble to finish the game, however I will offer impressions based on the first several hours of this intriguing game. The menus have a nice UI. The story is about a princess and her butler, Sebastian, going on a quest for revenge so the princess can reclaim her kingdom which was taken from her thanks to capitalism. The story is told in a lighthearted manner with accompanying audio mostly being gibberish rather than voiced in English or Japanese. Only the narrator is voiced in either English or Japanese (which can be switched at any time). The story isn’t particularly interesting but it has its own charm and tone which some people may like, but its personally not my thing. Maybe the story might pick up later on but early on it is fairly dull. The game has a simple, sprite-based aesthetic. It looks nice due to the variety of colours and is best shown in cutscenes. Princess and the enemies have a simple design that has its own charm clearly reminiscent of the old-school games that inspired it. 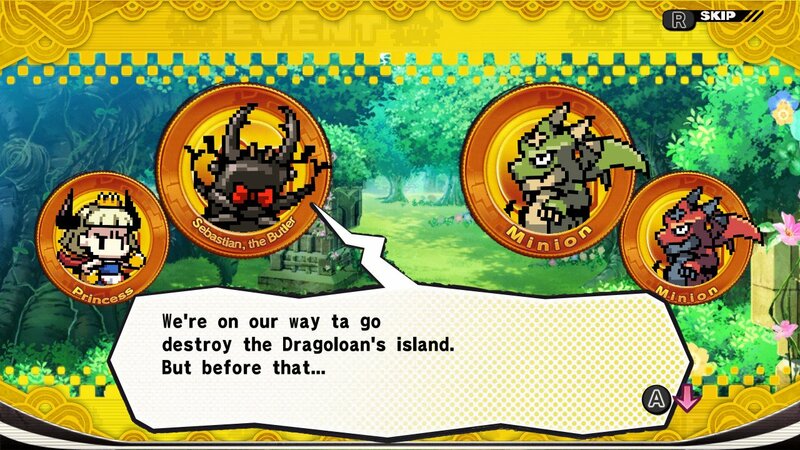 This also extends to the stage design, that is fairly limited based on the first few worlds. The music, while good, has a limited range so it gets repetitive. Sebastian is such a good advocate for the Princess. Gameplay is a top-down beat ’em up. You roam the stages and enter battles. Princess fights with her fists (hence the name) against the onslaught of enemies. There is a regular punch, a charged punch and a knockback attack. Attacks can be chained together allowing for combos. There are also Hidden Skills and Special Attacks that can be used occasionally to provide offensive or defensive support, depending on the skill that is applied to Princess. The battles that have occurred so far vary in length from 8-10 enemies up till around 20. However all the stages so far are fairly short, hence they are ideal for portable play. There is full 8-directional movement as Princess explores the field. 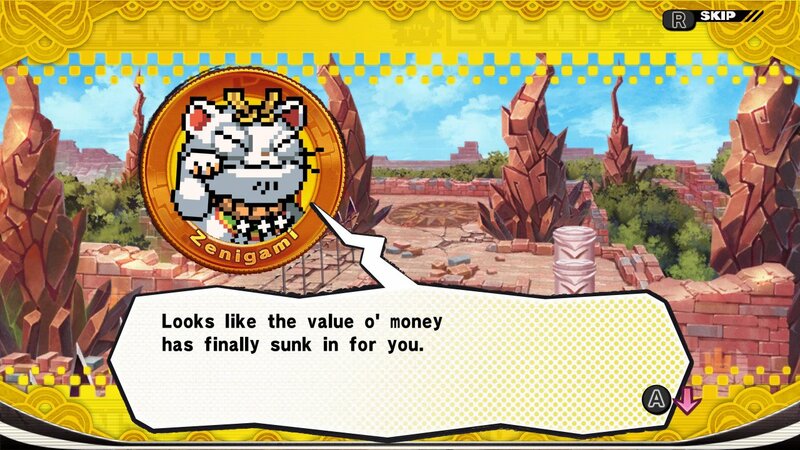 In between battles, there are multiple treasure chests on each map that can be found and various money obtained. 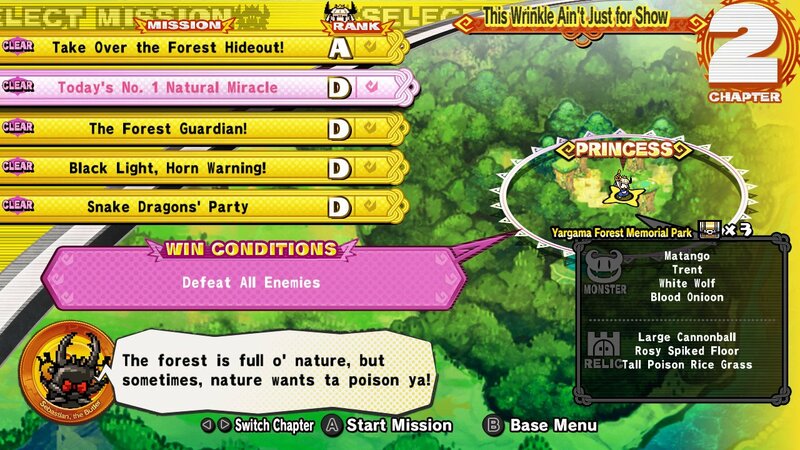 Some side paths even have optional battles. The game’s Bribe mechanic is a nice idea. Enemies and objects on the field are your enemy, however you can convince them to join your side by bribing them with money. Once you bribe them they can provide support attacks to defeat other enemies surrounding you. The more money the enemy costs, the more powerful they are. 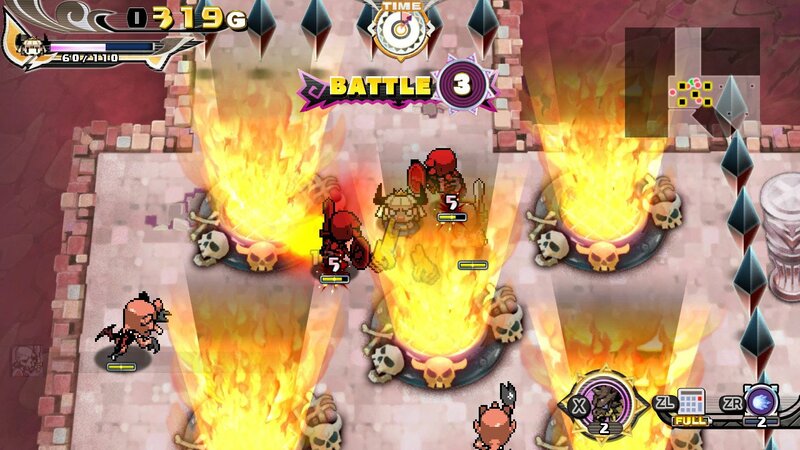 There is a good amount of variety in the stages so far with many different traps that can be recruited such as fire statues, cannons and large hammers. This lesson is learned however long you play this game. However, this game also has a few glaring issues that makes progression difficult. 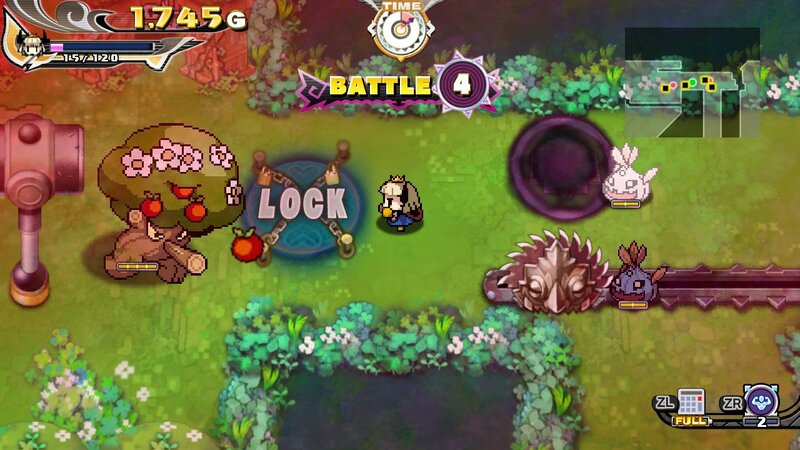 Firstly, many of the arenas are very cramped with enemies and objects to bribe, meaning battles are more intense and difficult than is necessary. More importantly, enemies do not freeze in place when the bribing calculator is on screen, meaning the player has to juggle two separate tasks at once (namely, the battle and to select a target to bribe and with what amount) which is a nightmare. This leads to unnecessary deaths caused by the battles being frustratingly difficult. For people that find it difficult to multitask or gets overstimulated by what is on the screen this game is inaccessible, and this oversight hurts it. This is a hard game judging by first impressions and that is not an issue by itself. Issues arise with how it has been implemented within the game. This doesn’t leave good impressions that this will improve later in the game. Cramped arenas and a dimmed screen like this was very common during my time with this game. Overall, Penny-Punching Princess is an interesting concept that so far appears to have been executed in a flawed manner. The gameplay experience has been frustrating in general meaning it has been difficult to progress at a good pace. The story is off to a slow start however it may improve later on. Nippon Ichi Software deserve credit for this attempt at making a game based on capitalism however this game doesn’t quite fit the bill for me.